A prominent and a distinct jaw line can add fantastic dimensions to anyone’s face. Our jaw and the chin constitute the lower third of the face and often men and women both suffer from the lack of a defined jaw area. The best way to get well defined jaw line is to have a facial augmentation surgery with the help of jaw implants. In India, according to the trends that have been observed in the past few decades, more men as compared to women have undergone jaw augmentation surgery with jaw implants. But, since a last couple of years, women have also been observed to be inclined towards getting more prominent jaw so that overall facial contours are well balanced. If the jaw line lacks definition in most cases it gives the neck a thickened look which is not very desirable. For the enhancement of the jaw line at the front, sometimes other types of facial implants like chin implants may be used. Now many types of chin implants are available with various size and length options for the enhancement of the jaw. With the help of chin implants, chin augmentation may be achieved with better fluidity between the chin and the jaws. The new chin implants are longer in length on both sides which means that they extend in the jaw area giving it the best appearance. But the augmentation surgery of jaw with the help of chin implants may not be the surgery option for many people. In some women, in fact, the jaw augmentation by chin implants may give a very masculine look to the front profile. Therefore facial augmentation surgery with the help of implants may not be the right choice of surgery for everyone. One of the top choices of jaw implant surgery is enhancement by angular jaw implants. Angular jaw implants enhance the jaw line near the sides and the back of the face. With the help of augmentation by angular jaw implants, generally the jaw looks squarer and soft which is desired by most people. Jaw implants are inserted into the position by making scars inside the cheeks therefore there are no visible scars. Many people do not require the width by jaw implants, some need lengthening of the jaws as well by the jaw implants. To achieve the best overall results, both length and width of the jaw line has to be enhanced with jaw implant surgery. How is jaw implant surgery done in India? India has emerged to be one of the top destinations for getting facial augmentation surgery of many types in the last few years. Facial augmentation surgery and jaw implants surgery have seen improvement in India and now better jaw implants surgery options are available. Jaw implants surgery and facial augmentation surgery are one of the most popular surgeries available in Mumbai. Mumbai is undoubtedly growing as one of the top places to get surgery for jaw implants and facial augmentation of other types. As the surgery for facial implants has become less complicated over the years, more people from India are now inclined towards getting the jaw implants. Facial augmentation surgery and jaw implants surgery is the new ‘in’ thing to get in India. People of India want to look their best like the top celebrities of India and for that they are going to Mumbai to get the facial augmentation surgery and facial implants surgery. In India and in the best hospitals of Mumbai, a pre- surgery analysis is done on the patient to decide upon the best approach for facial augmentation surgery. One of the top things to remember before you get the jaw implant surgery in Mumbai or anywhere else in India is that before the augmentation surgery you will be made to undergo an imaging test and photographs will be taken of your jaw. In India, after the jaw implants and facial augmentation surgery, most patients need to wear a jaw brace for some days after the surgery. To get the best surgery in India, Mumbai should be the top choice which you must consider. 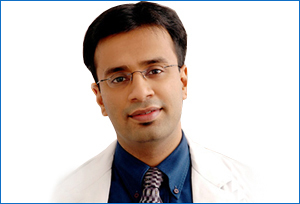 One of the top surgeons in India is in Mumbai and his name is Dr. Debraj Shome. Dr.Debraj Shome has been performing jaw implants surgery in Mumbai even on celebrities. In Mumbai, Dr. Shome’s name is akin to cosmetic surgery of all types. The Esthetic Clinics in Mumbai are one of the top few cosmetic clinics in India to regularly make it to the list of top 10 cosmetic clinics in India. According to Dr. Shome, most of his patients who come to Mumbai for the facial augmentation and jaw implants surgery are youngsters between the age of 22- 32. He says the men and women in India can get facial augmentation surgery or jaw implants surgery after the age of 20. It is best for the jaw line to get developed completely. Jaw implants surgery is now a common procedure in Mumbai all thanks to The Esthetic Clinics in Mumbai. For the best results after your jaw implants, you need to take follow up check-ups from Dr. Shome in Mumbai. If you are not a resident of Mumbai, online consultation can be the next best option for you.